Queensland Origin Coasters. State of Origin Coasters. 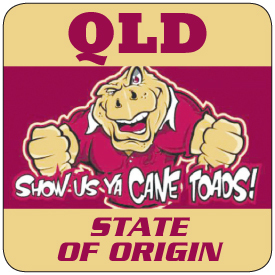 What more exciting way to anticipate the State of Origin rugby match than having a State of Origin Queensland coaster to amplify this feverish contest.